We are so proud to have been named the #1 Best Place to Work AND #1 Healthiest Employer by the Bay Area by the Silicon Valley Business Journal / San Francisco Business Times! Thanks to the entire XL team for your votes and for making our workplace so great! This is the third time in the last six years XL has been named #1 in the Bay Area Best Places to Work Awards. The difference this time is that we are in the “Large Companies” category vs. “Medium” and “Small” where we sat in 2017 and 2013 respectively. These awards remind us that putting people first and focusing on culture really does make an impact to XLers. Way to go team! 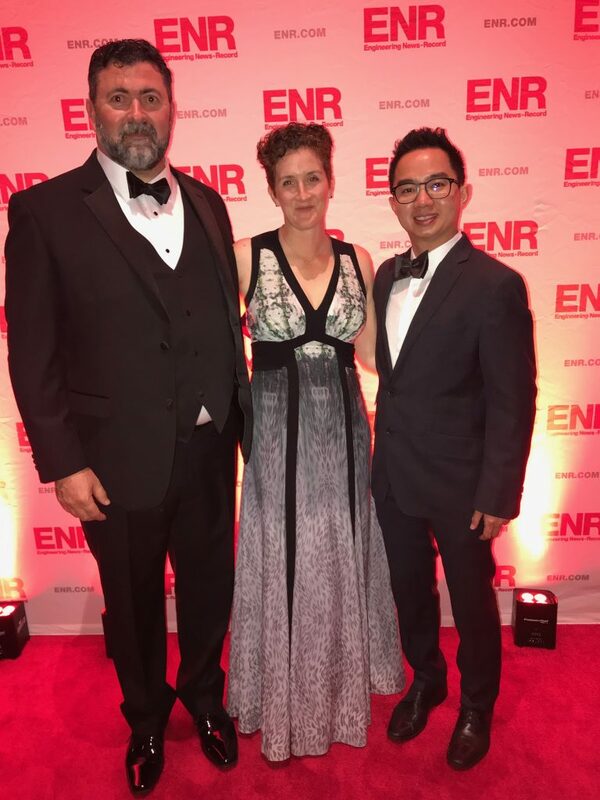 On May 21st, Project Manager Erin Allred and Superintendent Mitch McDonald accepted the national ENR Best of the Best Project Award for the Design Tech High School project at the annual ENR Awards of Excellence Gala in New York. ENR’s annual Best Projects awards program annually recognizes the best construction projects in the U.S. and the companies that designed and built them. 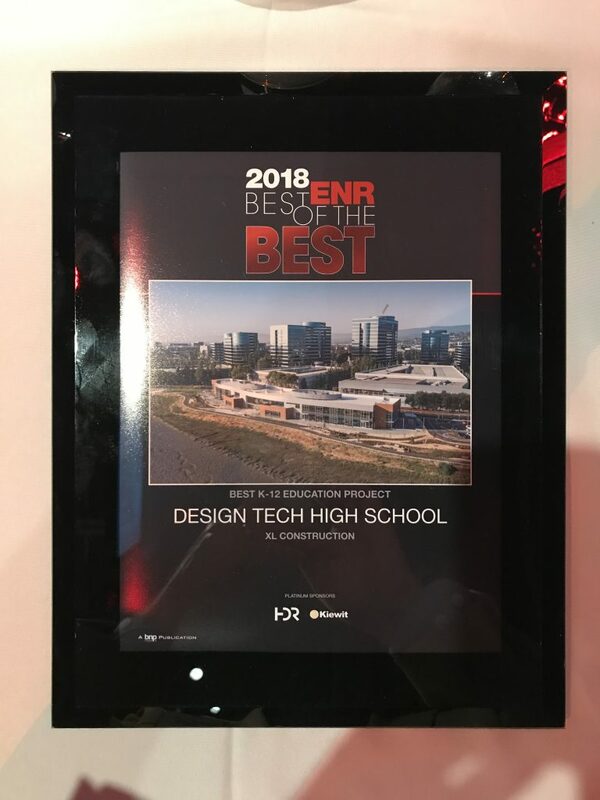 The Design Tech High School was recognized as the most innovative K-12 education project of 2018, honored for being a novel example of a successful public-private partnership and for its unique collaboration with the school’s students, teachers and parents to develop the design. XL proudly accepted the award alongside project partners from Oracle Corp, DES Architects + Engineers, BKF, and Integral Group. 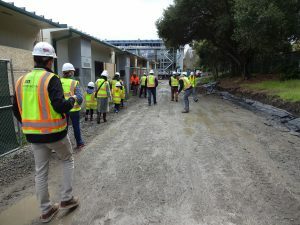 Learn more about the Design Tech High School project here. The Ford Innovation and Research Center is the award winner of the ENR California Best Projects 2018, Manufacturing category! The success of the design-build project was made possible through full alignment and collaboration of our entire team including Ford, Harley Ellis Devereaux (HED), Mazzetti, and, Paraigm Structural Engineers. Click here for more information on the project. Heart disease is still the number one killer of Americans. 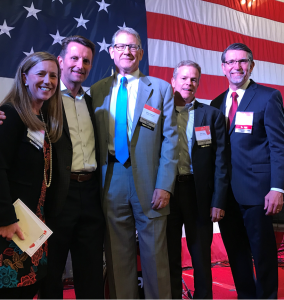 XL is committed to supporting American Heart Association in their research, education, and community outreach programs in the San Francisco Bay Area. 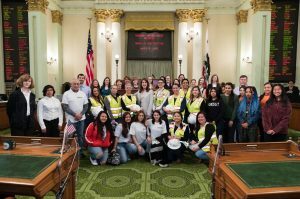 The Hard Hats with Hearts event on April 12, 2018 raised more than $1.4 million! And we plan to stay involved; Alan Laurlund is serving as one of the Hard Hats Chairs for next year! We are looking forward to it! 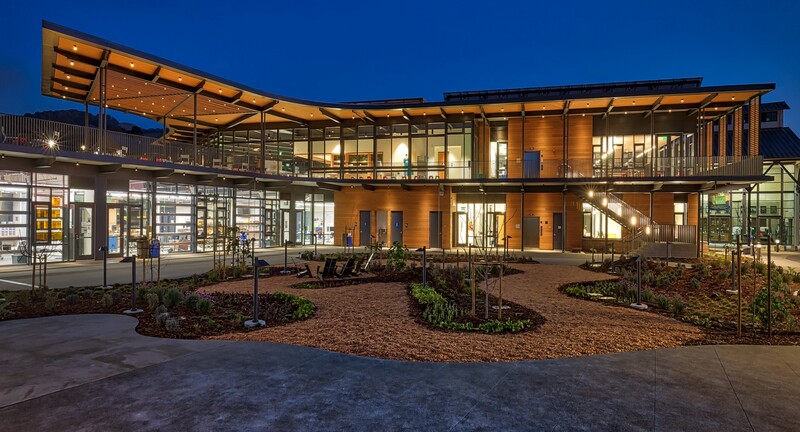 We are happy to have played a role in delivering this beautiful, custom, and environmentally friendly building to Sonoma Academy! Our approach empowered the project team to learn the green building systems and products within the building. 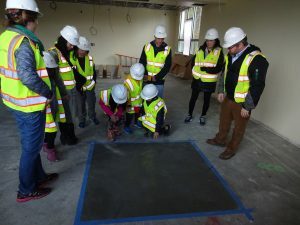 They now have a thorough understanding of how to best navigate the rigorous task involved in achieving Living Building Challenge, LEED Platinum, and WELL Building standards. Check out The Registry article for more on the topic! 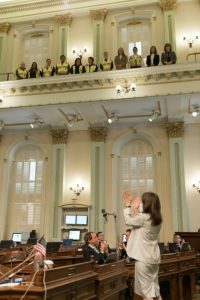 XL’s Kelley Cowan and SRBX‘s Women In Construction committee were recognized on the Assembly Floor for educating, inspiring, and advancing women in the construction industry and helping them build meaningful careers. 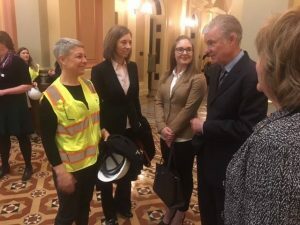 This group played a role in gaining support and bringing awareness to ACR-182 Women in Construction Week, a resolution for the State to support policy efforts to achieve at least 20% women in the construction industry by 2020. 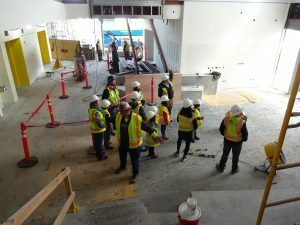 XL’s La Entrada Middle School New Classroom project team hosted a site tour for a group of curious students and their parents. 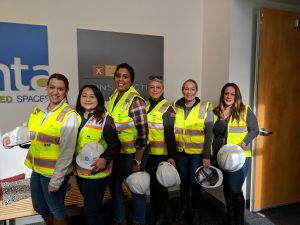 The two-hour tour included team and role introductions, personal protective equipment (PPE) explanation and distribution, seeing mock ups of finishes, safety demo, and a walk through where the students saw construction in action. 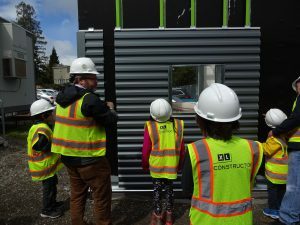 What a great way to use a construction project as a living classroom to show students how their new classroom is constructed. 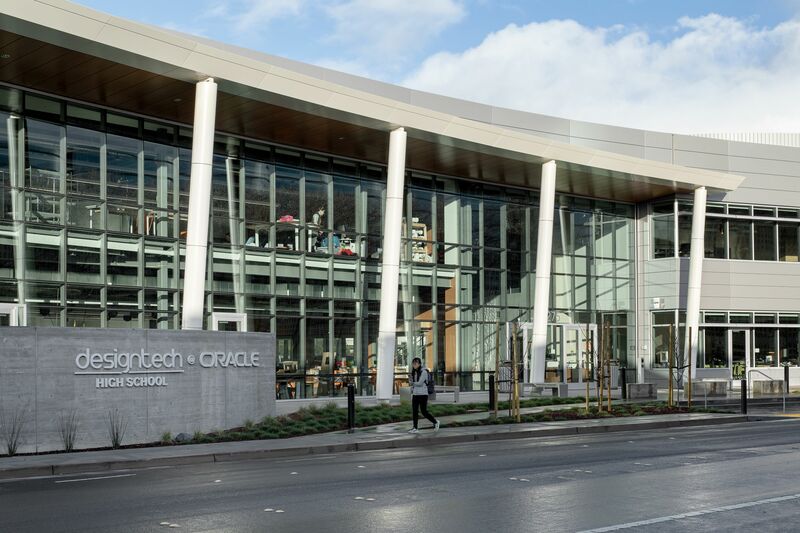 The Design Tech High School located on Oracle’s headquarters campus is now open! Click here to find out about the design thinking model and why it’s a pioneering high school. The new Behavioral Health Center at El Camino Hospital is just part of their larger, multi-million dollar campus upgrade. 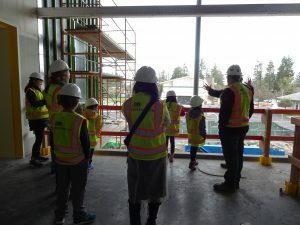 Find out more about the expansion in the Los Altos Times Crier article.